Duane Rosengard (b. Chicago 1960) began study of the double bass at age eleven. 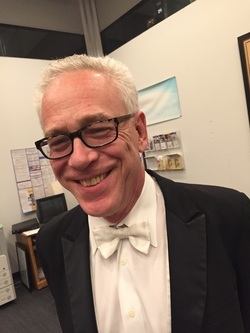 A graduate of the Interlochen Arts Academy and the Cleveland Institute of Music, he has been a member of the symphony orchestras of Veracruz, Mexico, Buffalo, Rochester and, since 1986, the Philadelphia Orchestra. The results of his researches in various Italian archives have been published in the STRAD and STRINGS magazines, the Journal of the Violin Society of America, and “Liuteria, Musica e Cultura.” His first book, Cremonese Double Basses, was published in 1992 by Editrice Turris in Cremona, Italy. With Carlo Chiesa, he co-authored the catalogues of exhibitions commemorating Guarneri “del Gesù” that were held at the Metropolitan Museum of Art in 1994 and the City Hall in Cremona in 1995. For Peter Biddulph publications he contributed to the two-volume Giuseppe Guarneri del Gesù and co-authored The Stradivari Legacy, a study based upon the discovery of Antonio’s Stradivari’s last will and testament. He collaborated on the English language edition of Annibale Fagnola by G. Accornero, I. Epicoco and E. Guerci. His monograph on Giovanni Battista Guadagnini, which was the result of nearly ten years of research, was published in 2000 in collaboration with Kenneth Warren and Son, Ltd. With Dmitry Gindin he co-authored The Late Cremonese Violin Makers. Over the past decade, he has contributed numerous articles and revisions to the new editions of the two standard reference encyclopedias: Die Musik in Geschichte und Gegenwart and the Grove’s Dictionary of Music. More recently, he worked with the late Robert Bein on a historical survey of the entire output of Guarneri del Gesù, and since 2001 has been working with Charles Beare and others on a study of Venetian stringed instrument makers from the fifteenth through eighteenth centuries. Mr. Rosengard served as a member of the Scientific Committees of the Ente Triennale that governs the annual exhibitions of rare bowed instruments held in Cremona, Italy. In 2007, this committee brought together, from around the world, all of the existing bowed instruments of Andrea Amati, the founder of the Cremonese school of violin making. An exhibition held in Cremona in September 2008 was dedicated to the violin makers active in Cremona in the 1730s. In the autumn of 2010, the final exhibition of this cycle, dedicated to Carlo Bergonzi, was held in Cremona. Mr. Rosengard has given lectures and presentations in London before the Entente Internationale de Maitre Luthiers, at the National Music Museum in Vermillion, South Dakota, at the Smithsonian Institution in Washington, DC, as well as at numerous venues in the United States for the Violin Society of America. He is an associate member of the American Federation of Violin and Bow Makers.